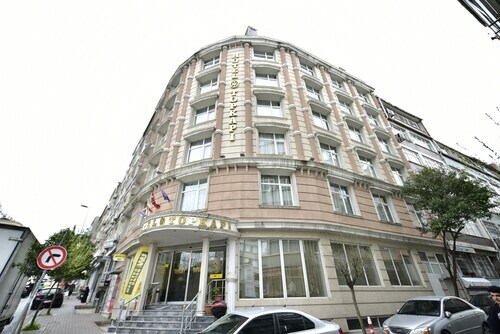 Located in Taksim, this hostel is within a 10-minute walk of Taksim Square and Istiklal Avenue. Kabatas Pier and Museum of Innocence are also within 15 minutes. Taksim Station is 5 minutes by foot and Findikli Station is 7 minutes. 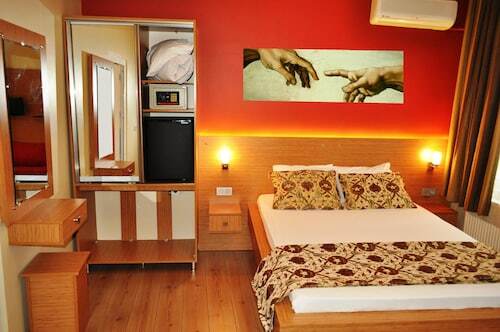 Located in Taksim, this hostel is within a 15-minute walk of Taksim Square and Cemal Resit Rey Concert Hall. Vodafone Arena and Macka Park are also within 1 mi (2 km). Taşkışla Cable Car Station is 13 minutes by foot and Taksim Station is 14 minutes. 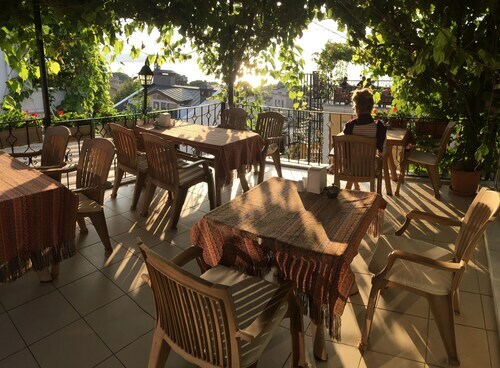 Located in Sultanahmet, this hostel is within a 5-minute walk of Sultanahmet Square and Hagia Sophia. Blue Mosque and Hippodrome of Constantinople are also within 10 minutes. Istanbul Cankurtaran Station is only a 4-minute walk and Sultanahmet Station is 7 minutes. 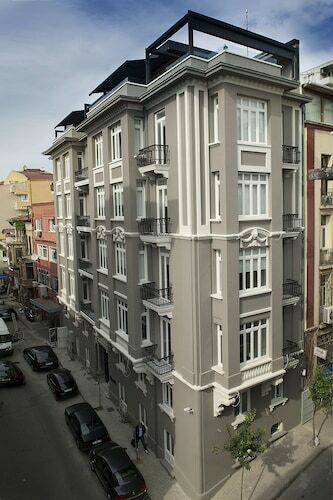 Located in Kadikoy, this hotel is within 1 mile (2 km) of Kadikoy Port and Bagdat Avenue. Marmara University and Akasya Acibadem Shopping Center are also within 3 miles (5 km). Carsi Station is only a 5-minute walk and Altiyol Station is 9 minutes. Located in Sultanahmet, this guesthouse is within a 10-minute walk of Fountain of Sultan Ahmed III, Sultanahmet Square and Hagia Sophia. Gulhane Park and Hippodrome of Constantinople are also within 10 minutes. Istanbul Cankurtaran Station is only a 4-minute walk and Sultanahmet Station is 11 minutes. Located in Istanbul City Center, this hotel is within 2 miles (3 km) of Historia Fatih Shopping Centre, Grand Bazaar and Chora Church. Beyazit Square and Suleymaniye Mosque are also within 2 miles (3 km). Findikzade Station is only a 5-minute walk and Capa-Sehremini Station is 12 minutes. Situated near the boardwalk, this spa hotel is within 2 miles (3 km) of Istanbul Aydın University, Florya Beach and Flyinn Avm. Istanbul Aquarium is 2 mi (3.3 km) away. Istanbul Kucukcekmece Station is 28 minutes by foot and Istanbul Florya Station is 29 minutes. 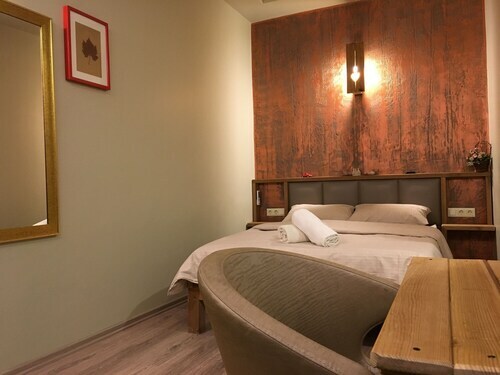 Located in Istanbul City Center, this hostel is within a 10-minute walk of New Mosque, Hagia Sophia and Basilica Cistern. Sultanahmet Square and Topkapi Palace are also within 15 minutes. Gulhane Station is only a 3-minute walk and Sirkeci Station is 6 minutes. When it comes to that great getaway, planning ahead makes all the difference. Knowing what kinds of experiences you’re after, and setting the budget for your trip, will let you make the right decisions in advance – like what kind of accommodation works best for you. By picking a 2 Stars hotel in Istanbul ahead of time, you’ll know exactly what kind of service, decor and facilities to expect from your chosen holiday pad after you arrive. That means you can relax and get on with the important business of looking forward to your jaunt. Once you’ve settled on how many stars you’d like your hotel to have, you can use ebookers to find the ideal pad for you. Our service makes it simple to locate 2 Stars Istanbul hotels, thanks to the filter tool which will only present you with the relevant category of accommodation, so you don’t have to wade through masses of irrelevant options. On top of that, our handy hotel descriptions will give you the essential information on each pad, with photos and notes on the guestrooms and any on-site amenities like spas, swimming pools and restaurants. 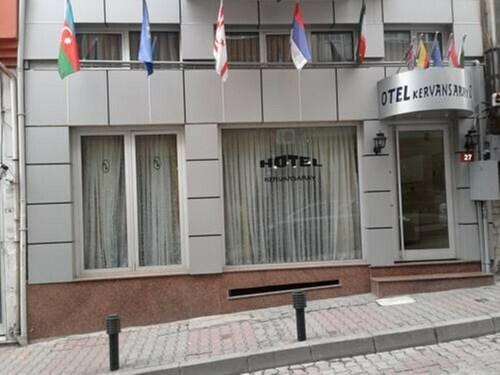 You can also search specifically for 2 Stars hotels in Istanbul that are near popular sights.